They say nothing in life is certain except for death and taxes…add frizzy hair to that list. Your hair can be straight, wavy or curly...thin, thick or coarse; no one is free of frizz. 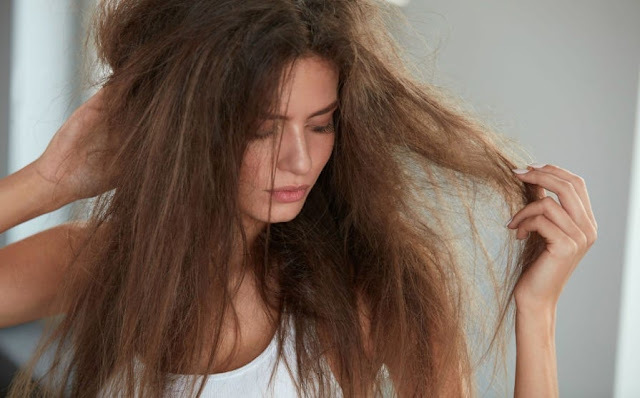 But don’t worry: We've got some tips to help you tame that frizz. Step two: Be gentle. Instead of aggressively rubbing the T-Shirt all over your head, think of blotting or lightly squeezing the water out. The less you can rough up the cuticle during the drying process, the better. Step Three: Once you reach for your blow-dryer, continue with the gentle approach. Avoid flipping your head upside down or working your fingers throughout your hair. You can’t rough up the hair and then expect a smooth end result. Try lightly combing or brushing your hair downward as you blow-dry, and finish with a shot of cool air to help seal the cuticle. Go slowly and take your time while blow-drying your hair, and ultimately, you will have beautiful, frizz-free results. Applying a smoothing cream to your hair as you blow dry will significantly enhance your style and reduce your frizz. There are many that even do double-duty like adding shine or improving the look & bounce of curls. Shop Smoothing Creams. Once you begin to style, if you really want to be thorough, opt for a humidity resistant hair spray as the final touch. You can find them in every hold, from very light to extreme hold.